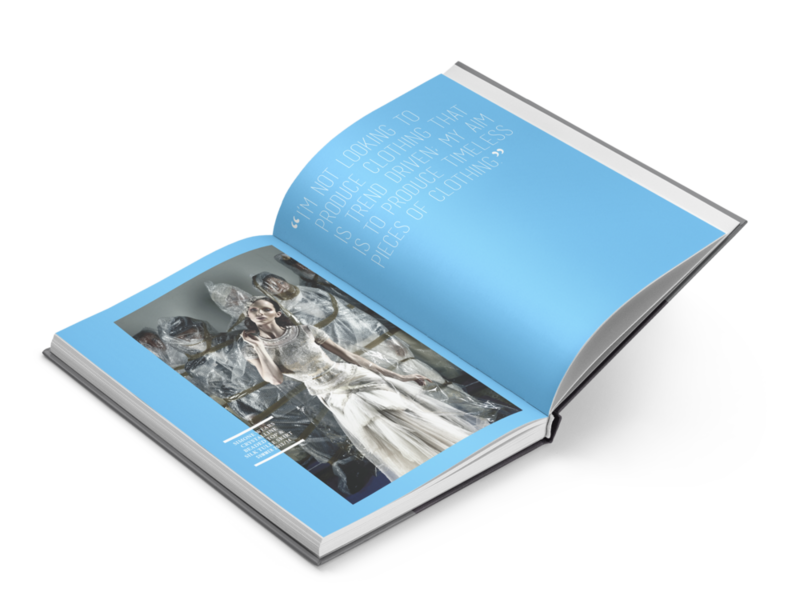 A luxury book to accompany the high-profile exhibition showcasing 30 years of Aurelio Costarella’s spectacular career, Western Australia’s most prominent fashion designer. 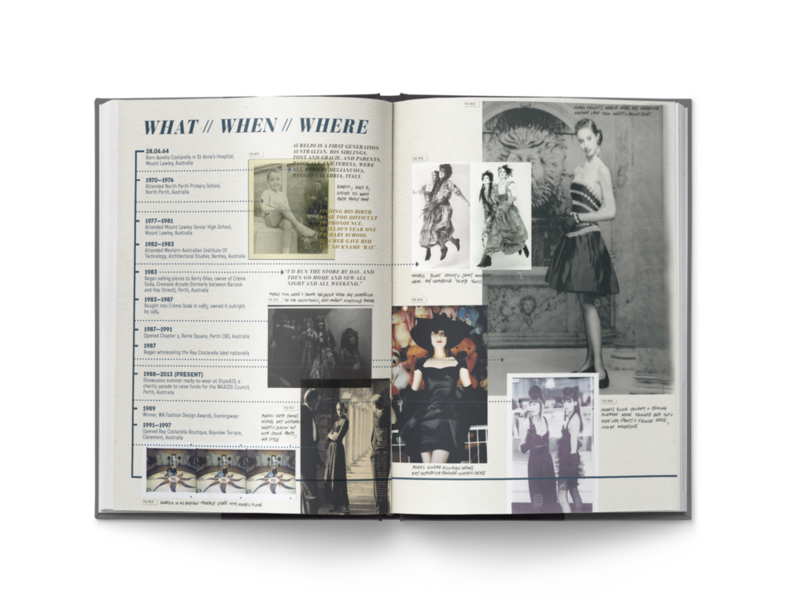 The client wanted the book to really encompass all aspects of Costarella’s career — from his creative experience and influences during childhood, to sketchbook doodles over the years, all of his international fashion shows, to his extremely popular women’s fashion pieces that are now classics. ROAM created a layout that had a different visual style for each section of the book — from the introduction section in black-and-white and printed on silk paper, to the timeline section detailing his 30-year career printed on uncoated archival paper, to the pages scanned directly from his sketchbooks and printed on sketchbook paper, to the final photoshoot of his luxury clothing at the Museum of WA printed on high-gloss paper in vibrant colours. The front cover of this hardbound book was a stunning combination of black bookbinding paper, with a high-gloss grey section laminated over the top, with the logo hot-foil stamped in silver along one edge. The end result was a very luxurious commemorative book, that really showcased the different eras of his career and his personality, utilising different styles for each section of the book, making it a unique, insightful and engaging read for the viewers.